Home / Electricians / Is LED Light Suitable For Home and Office Use? Most of the high rise construction buildings, offices and residential properties in Perth, Australia incorporate the use of LED use due to its efficiency and functionality. For practical reasons and variety of its uses, it is now the most preferred lighting system in all offices, business establishments, malls, parks and homes etc. Below is a brief overview of what LED lighting is and the useful reasons why it is most ideal and suitable for office and home use. Light is produced when electricity passes through the light emitting diodes (LED). The generated bright light is more clear and sharper than ordinary bulbs. 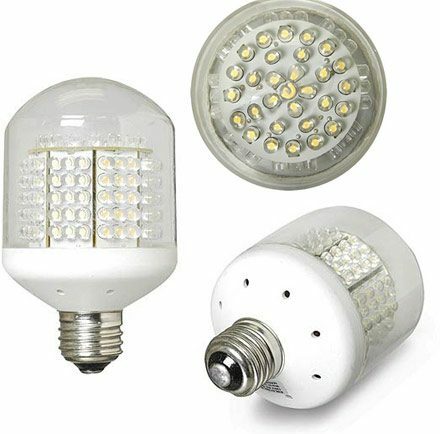 LED lights are also applicable in many practical electrical uses which we need in our everyday lives. It can be found as component of HD (High Definition) TV, monitors, essential computer accessories and parts. It is also used now for digital alarm clocks, signal traffic lights, flashlights, lamp posts, night lights, billboard advertisements, and permanent road light fixtures. 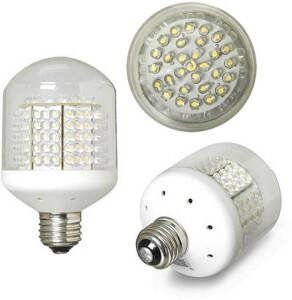 Basically, an LED light is a mix of useful chemicals and other impurities. The mix of aluminum, gallium, arsenide and impurities are its main components. The added impurities help in the creation of free electrons allowing the materials to generate light with the help of its electric power source. The colors emitted from LED lights can be adjusted to the type of impurities used. There are numerous benefits of LED use starting with lower energy consumption. It lasts longer in service than other types of bulbs. It is not prone to burnout or power overload leading to broken or burst out lighting fixtures. It has a continuous supply of white light that is not susceptible to blinking or interruption while lighted. Light emitting diode (LED) is generally small in size, does not have any mercury content (unlike fluorescent lamps), lasts longer, and with lesser heat generated than any other forms of lighting. It has longer staying power, and it can light more than a hundred times of the lifespan and the capacity of the typical fluorescent and incandescent bulbs. In office use, it is time consuming and more costly if the need to replace inefficient and broken bulbs always occur. Choosing the use of LED lighting in the office lessens the manpower and time to maintain an efficient long lasting lighting system that will keep the office bright and presentable. At home, it lessens the cost for maintenance and repair because of its longer life span. A well lighted room exudes a positive atmosphere and ambience in the office. It helps to set the overall work mood and promotes productivity in the workplace. A well lighted workplace inspires customers to visit and check your office, service, or product. Having an efficient lighting system in the office not only attracts potential clients, it also leaves an impression of a dynamic, and customer oriented character that will have clients to keep coming back for more. Since it does not consume high electricity generation and produces low heat when in use, it reduces the need to use air conditioning in the office or at home. Incandescent and fluorescent bulbs usually generate more heat that makes office space and rooms warm. LED does the total opposite, thereby saving a lot on power use and fossil fuel emissions in the atmosphere. In addition, it uses less energy consumption to light up an entire household. It does not easily break even when bumped or scratched since they are usually contained in hard plastic cases. It has a capacity to withstand itself from the impact of being banged or moved even on a daily basis. It will not shatter or crack and ensures safety of the people working inside an office. No burst out of glasses or dangerous filaments may occur that can potentially cause injury to anyone in the workplace. Unlike the ordinary or traditional bulbs that contain harmful filaments and toxic chemicals (mercury). It produces directional lights which basically means, the light can be highlighted into one focal point of an area in a workplace or office. The LED lighting can be adjusted to supply a steady beam of white light to a designated part in the office that needs constant monitoring and proper illumination. Another plus factor, it comes in a wide variety of colors that may prove useful in presentations, events, or product demonstrations held in the office. For an effective installation of LED lights, Andrew’s Perth Home Services have highly trained electricians who are masters in LED lighting installation. Aside from LED being a practical choice, it is equally important that your house and office be serviced by a professional to ensure your LED installation is properly configured. Contact Andrew’s Perth Home Services for a free estimate and quote at (08) 9273 4019.